The Scrambler 1200 XC and the 1200 XE are powered by the same 1200 cc "high power" engine of the Triumph Thruxton R, but the engine has been retuned for more power and grunt lower in the rev range than full top-end acceleration. The 27-degree firing order parallel-twin engine has a different state of tune and pumps out 89 bhp at 7,400 rpm, and peak torque of 110 Nm at 3,950 rpm. But even in this state of tune, the Scrambler 1200's engine is 12.5 per cent more powerful than the Bonneville T120, and 38 per cent more powerful than the Street Scrambler. And service intervals are now at 16,000 km. Also standard is a torque-assist clutch with a 6-speed gearbox to give a light feel on the lever. 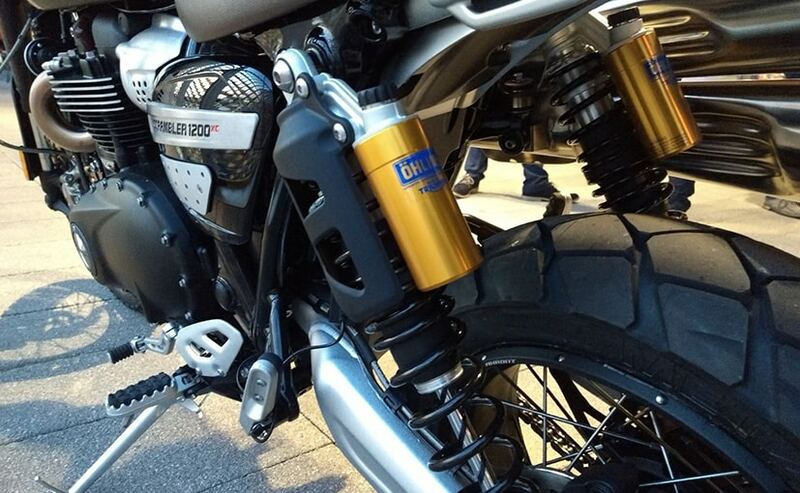 The Scrambler 1200 gets a steel tubular double cradle frame, and Showa forks and Ohlins rear shocks. But there's some difference in the set-up. The 1200 XC gets 200 mm suspension travel at both the rear and front, while the XE gets 250 mm suspension travel. The Showa front fork on the XC is a 45 mm upside down fork, while the XE gets a 47 mm upside down fork with gold anodised finish. The Scrambler 1200 gets a large 21-inch front spoked wheel, and a 17-inch rear wheel, both shod with tubeless dual-sport type block pattern Metzeler Tourance tyres. Braking is handled by dual front 320 mm discs on the front wheel gripped by Brembo M50 monobloc calipers and a single 255 mm disc on the rear wheel, gripped by a Brembo two-piston floatin caliper. Both bikes get switchable ABS, but the XE trim goes a step further and offer switchable cornering ABS, powered by an Inertial Measurement Unit (IMU). Dry weight of the XC is 205 kg, while the XE weighs 207 kg. That's not exactly lightweight by any standard, and coupled with the tall stance and seat height (840 mm for the XC, and 870 mm for the XE), the Scrambler 1200 isn't for beginners or those seeking to start out riding off-road. calculates roll, pitch, yaw and lean angle and acceleration rates, and accordingly responds with safety features. 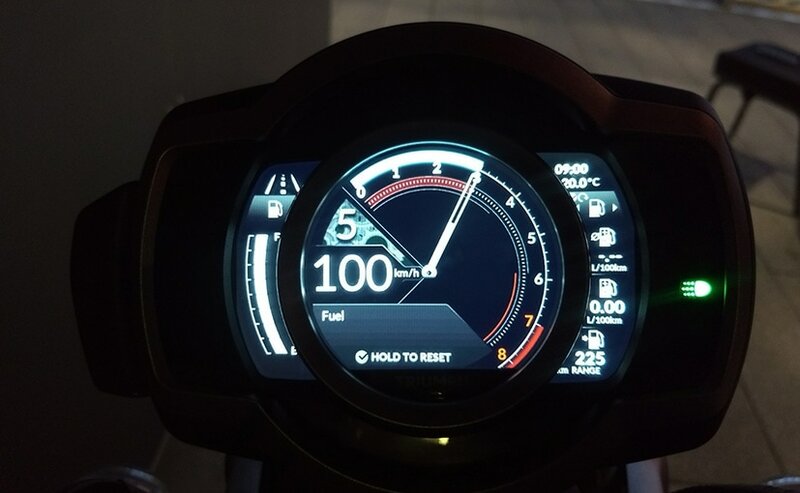 The Scrambler 1200 also boasts of an all-new full-colour TFT display which boasts of several unique features, including a fully customisable start-up screen message that has the owner's name. In India, Triumph will launch the Scrambler 1200 XC first, in early 2019. With the amount of equipment and technology, expect the Scrambler 1200 XC to be priced very close to the Triumph Tiger 800 range. We expect prices in India to be in the region of Rs. 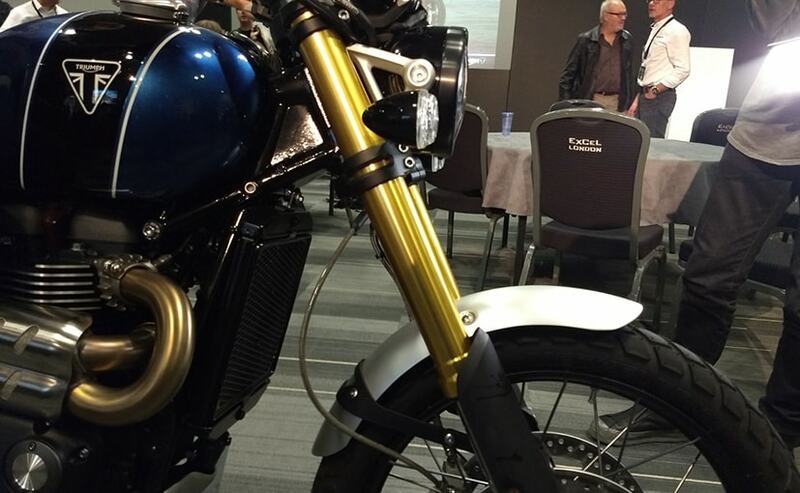 11-12 lakh (ex-showroom) forthe Scrambler 1200.